Ministerial Committee for Heritage Program approves 13 projects at cost of NIS 72.5M. The Ministerial Committee for the Heritage Program, headed by Prime Minister Binyamin Netanyahu, approved 13 new "renovation and empowerment" projects at a cost of NIS 72.5M. Out of this total price tag, about NIS 40M will come from external bodies and 32.5M will come from the Heritage Program budget. Ministers were assured that Rachel's Tomb and the Cave of Machpela, which are also on the heritage sites list but are not included in the new projects, will not be neglected and that the projects do not come at their expense. Projects approved include archeological sites, sites and structures for preservation, museums and archives – as well as "intangible" projects that encourage culture and the arts. They include an interactive reconstruction of early Zionist "Wall and Tower" communities; operation of the windmill at Jerusalem's Yemin Moshe; preservation and upgrading of the archeological site at Umm El-Umdan near Modiin, that will show life in a Jewish community in Hasmonean times; the development of Tel Shiloh, where the Holy Tabernacle and Holy Ark stood in ancient times; upgrading of the display and archive at the Clerks' House in Rosh Pina and restoration of the first Jewish school there; and operation of "Adopt a Site" – a program in which archeological sites are maintained by schoolchildren in a nearby community – at Tel Yokne'am, Tel Usha and Tel Batash. In response to anxious queries regarding the Cave of Patriarchs and the Tomb of Rachel, it was made clear during the meeting that the two sites are on the Heritage Sites list and that they continue to be as central and important as ever. Rachel's Tomb is currently undergoing thorough renovation and restoration. 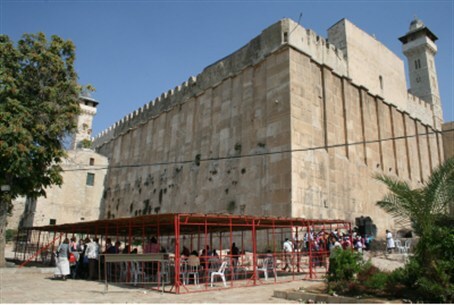 In the Cave of Patriarchs, no flaws requiring renovation were found, except for a projecting roof that requires fixing and an elevator for the handicapped that is needed. The Civil Administration is looking into the matter, the ministers were told. So far, 65 projects have been approved in the program, including 40 sites and 25 non-tangible projects, at a total cost of NIS 250M.